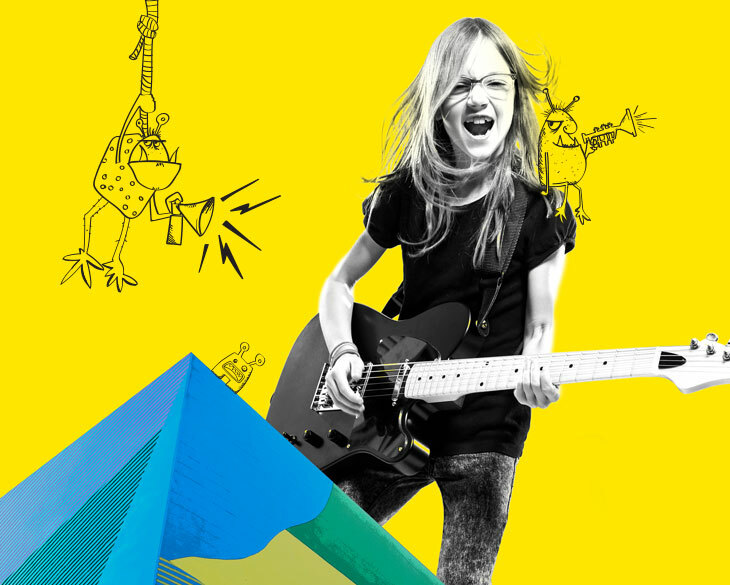 From 16-18 Jan, Kids Take Over is back – and this time it’s live, loud and rockin’ out. From the street to the beats – kids will have a riot learning air guitar, busting out street dance moves, working the decks, watching jaw-dropping urban circus and tagging our walls. There’s a full program of daily activities on 16-18 Jan, from 10am-2pm each day. There’s also a special concert by Brisbane’s quirky crew Regurgitator on 12 Jan. Headlining the action at Kids Take Over are the 360 ALLSTARS. This radical urban circus boasts a stellar cast including world champion athletes, world-class dancers and renowned musicians that will be sure to make the audience dizzy with excitement. It’s the second time the guys will be on the Gold Coast, having featured at the GC2018 Commonwealth Games Festival this year to amazing reviews. And if you have a kid who thinks they have some cool moves, they can battle it out with their crew or step into the dance circle with hip-hop, street and break-dancing workshops each day led by the Gold Coast’s TC Dance Academy. Armed with headphones and a fully set up DJ booth, kids can also learn to create their own party playlist, mixed to the rhythms of their choice at DJ Skool with DJ Fletcher. The 30min free lessons are all booked up but you can still enjoy watching and hearing original tunes by the Gold Coast’s youngest up and coming mixmasters. And kids will love taking their creativity to our walls (literally) as local artists lead the charge in transforming our walls into an urban streetscape in our graffiti inspired ArtLab. Then why not take the kids on a nostalgic trip through the days when the Gold Coast was a hot spot of Australia’s live music touring circuit and check out the stories, memorabilia, photos and footage in our Let there be rock! Gallery exhibition. If you need a little chill time then everyone’s favourite Jack Black movie classic, School of Rock, will be playing in the air-conditioned Basement every day at 11am, it’s free so just drop in and enjoy some downtime. HOTA CEO, Criena Gehrke, said kids will love the mix of activities over the summer break. “Kids Take Over is a real rock ‘n’ roll mini-fest full of fun and interactive activities that will leave kids feeling creative and inspired,” she said. Also on at HOTA in January is a super cool kids concert by Brisbane’s quirky crew, Regurgitator. Bringing their witty, silly attitude and musical mash-up of funk, pop and rock, this unique collection of kids tunes is about as naughty as punk rock can get and still offer a G rating. Have a little fun and come dressed up for this rockin’ performance made especially for young people and their grown-ups. Get here early for the concert and get your hands on a cardboard guitar and give it some rock style in a free ArtLab pop-up workshop. Check out HOTA, Home of the Arts this summer – swim in the lake, climb the adventure trail, grab some snack from the café – with free parking it’s easy to spend the whole day here. See the full Kids Take Over program and daily schedule.